Are you looking for a luxury SUV with a reasonable price tag, low mileage, and great features? 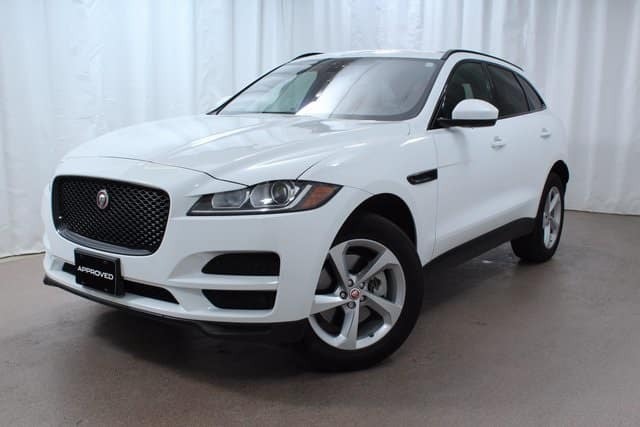 Here at Jaguar Colorado Springs we currently have a retired service loaner Certified PreOwned 2017 Jaguar F-PACE 35T Premium SUV in our inventory! With just over 7,500 miles on it, this F-PACE is in very gently used condition. Our price for this luxurious and capable SUV is currently $47,989! Equipped with a 3.0L V6 supercharged engine, you are looking at getting an estimated 18 MPG city/23 MPG highway. This SUV is also equipped with some other great features including heated seats, electronic stability control, navigation system, and SiriusXM Satellite Radio. Plus, as a Certified Pre-Owned vehicle, you can have peace of mind with great benefits such as a 6-year /100,000-mile limited warranty, 24-hour roadside assistance, 165-point inspection, vehicle history report, and more! So make Jaguar Colorado Springs your destination when looking for a new-to-you vehicle! We have a great selection of gently pre-owned vehicles including some Certified Preowned options. Let us show you all of the wonderful choices you have at Jaguar Colorado Springs.